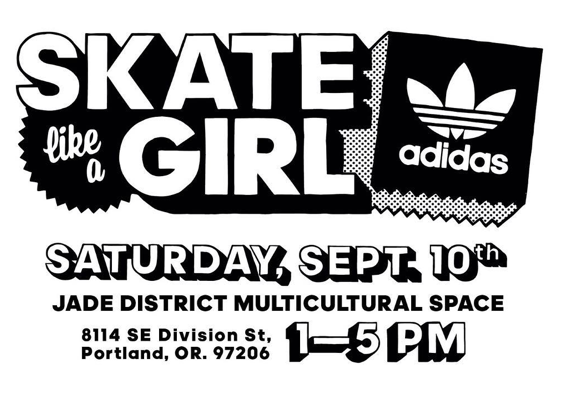 I wasn’t able to make it to Skate Like a Girl’s PDX 3rd Birthday Party held at Jade District Multicultural Space on September 10th, so I’m writing this post with some of the pictures that were shared. 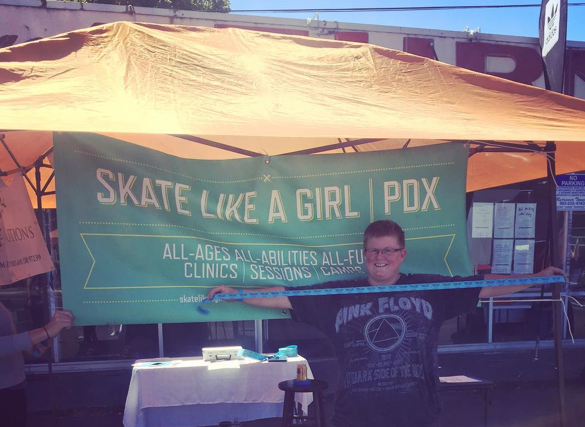 Why celebrate 3 years of Skate Like a Girl PDX? 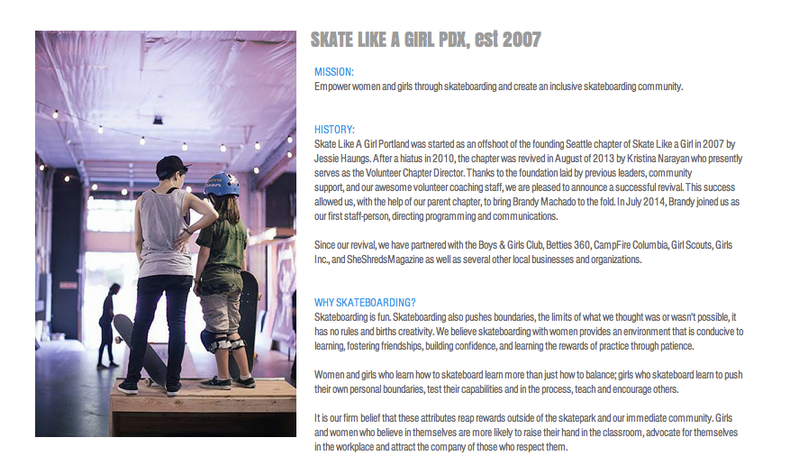 Because they offer skateboarding programs that benefit everyone. 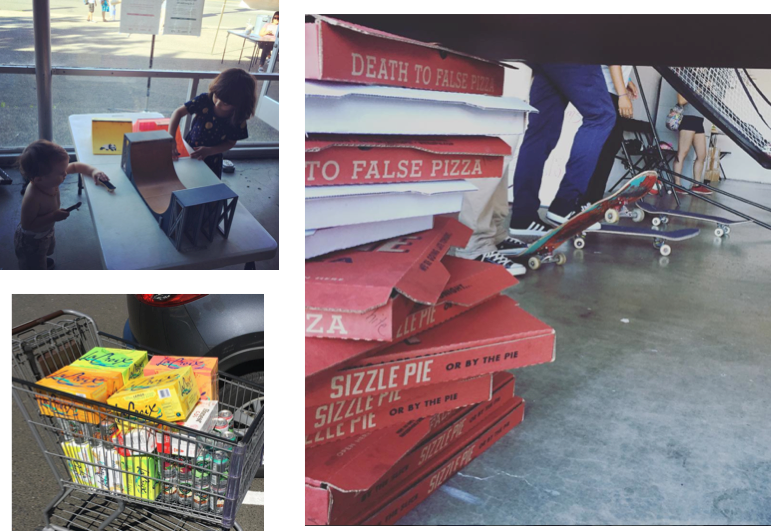 Skateboarding has rewards outside of the skatepark and our immediate community. Girls and women who believe in themselves are more likely to raise their hand in the classroom, advocate for themselves in the workplace and attract the company of those who respect them. 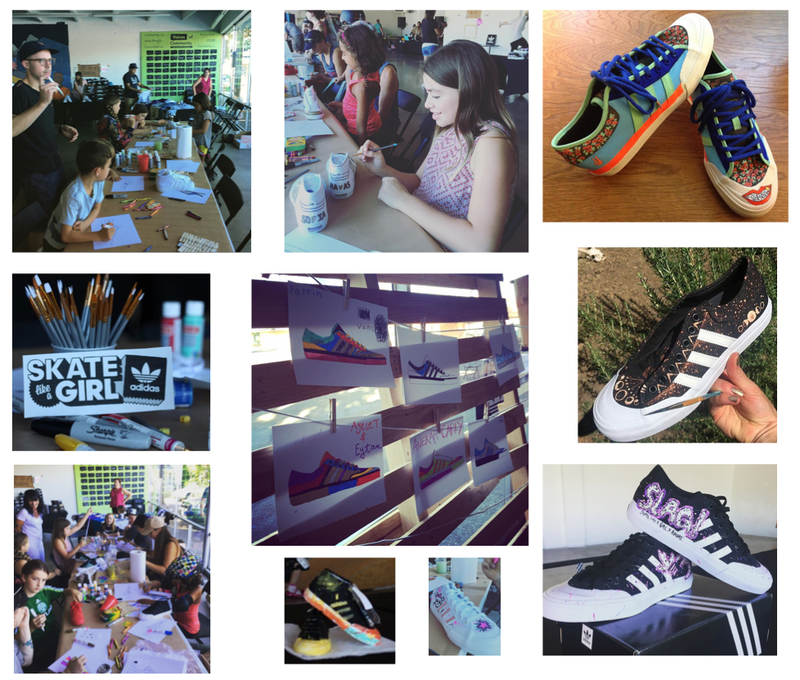 There were shoe collaborations & shoe decorating. I’m a fashionista so the recap had to start with the shoes & glitter. 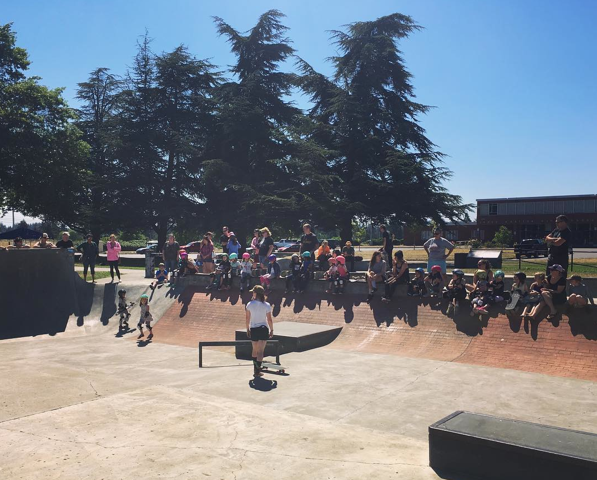 There was skateboarding – open skate and a demo. Above a video & below a few pictures. There was a raffle with fabulous prizes and happy winners. 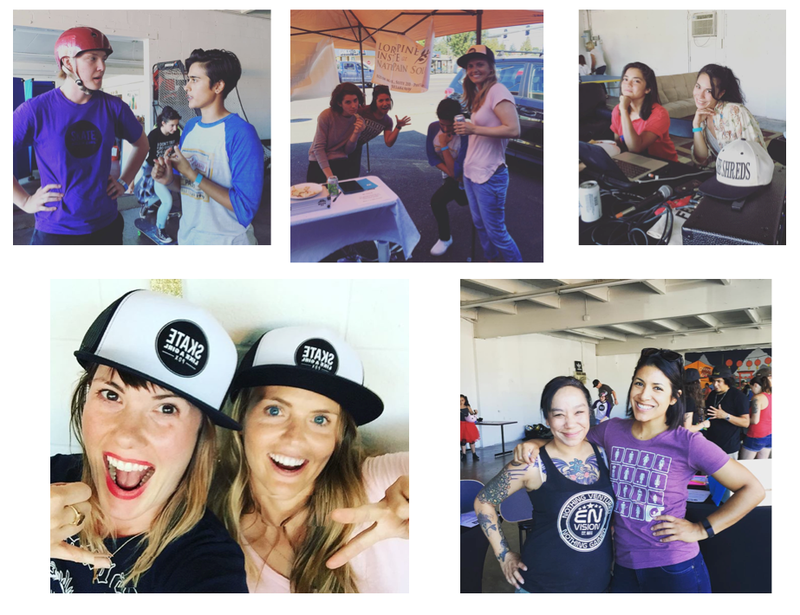 So many pictures of happy faces – including the many volunteers who made the event possible. As the caption to this photo says The future is fierce! Till next time keep it stylish on & off the board. 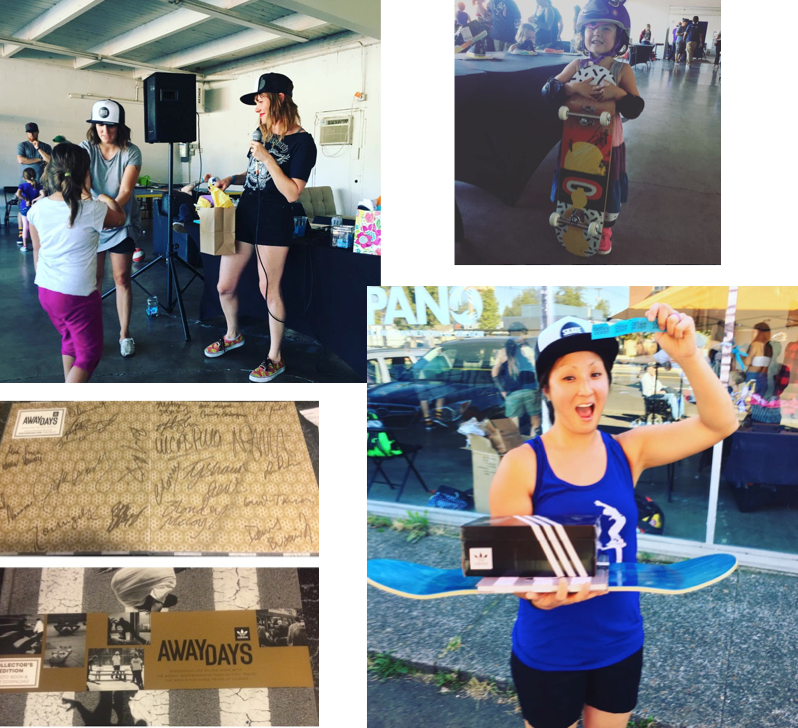 Share your pictures, stories & events – more girls do skateboard as they see girls skateboarding & get encouragement. 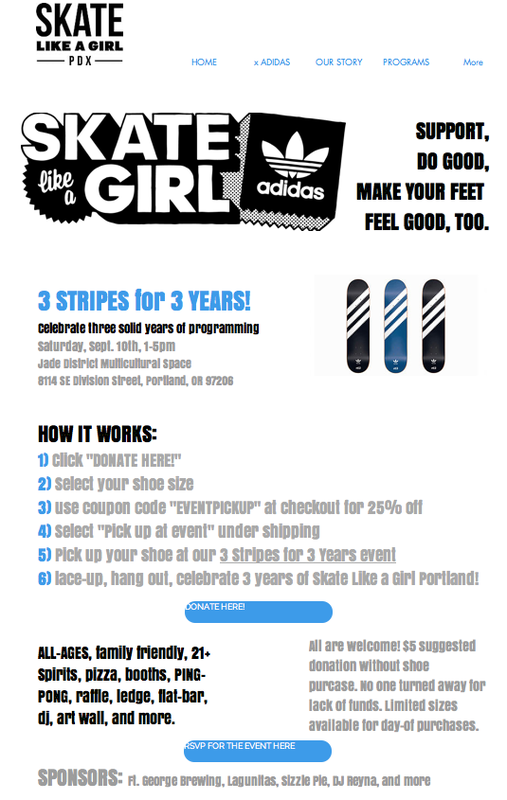 Skate Like a Girl in Portland is celebrating their 3rd birthday! 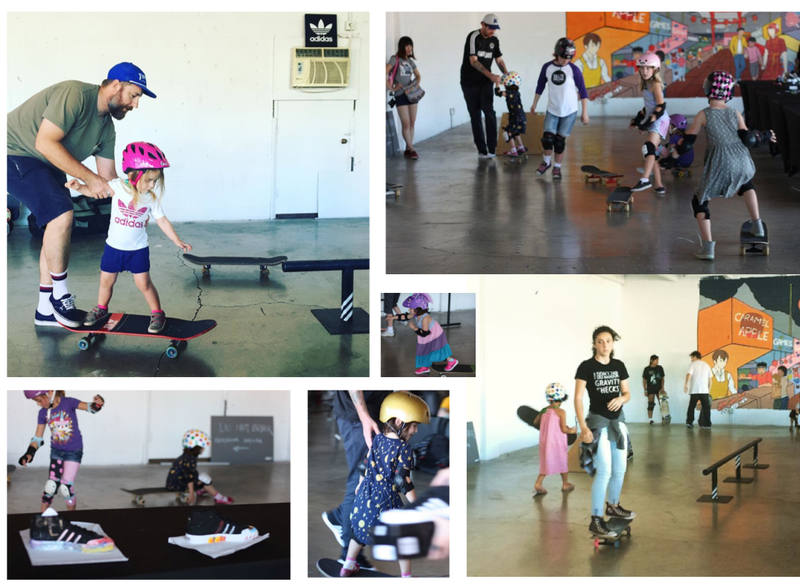 adidas skateboarding is helping them celebrate with #3StripesFor3Years. 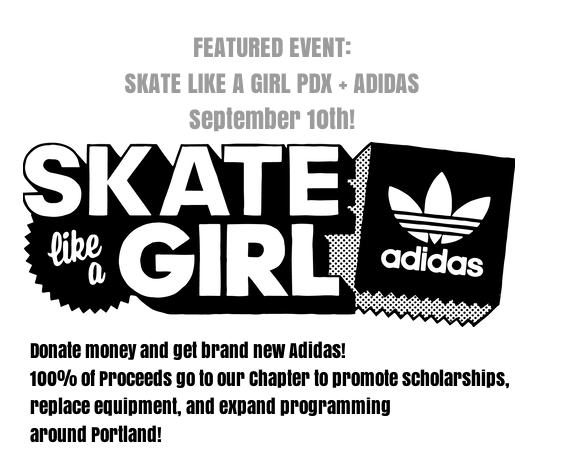 For more on what Skate Like a Girl Portland does and why to support them – check out their IG or their about page below. 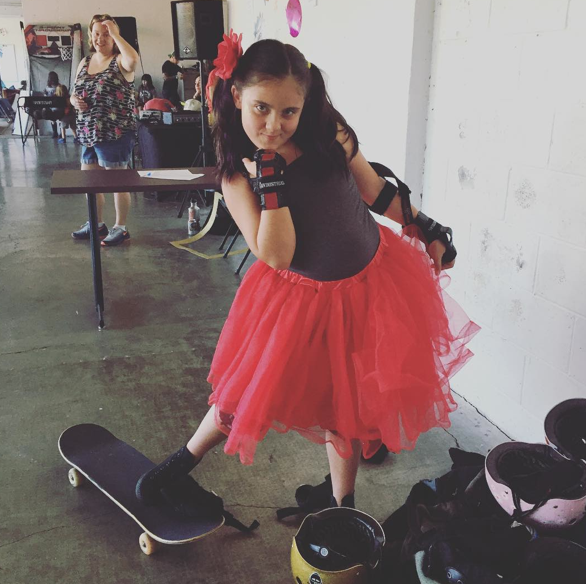 To me skateboarding is sport/art/transportation/exercise/rolling yoga & self-confidence building it’s why I share stories of girls & organizations that encourage girls to skate – more girls skateboard when they see girls skateboarding & get encouragement. Inclusion – building self-confidence are always in style on & off the board. 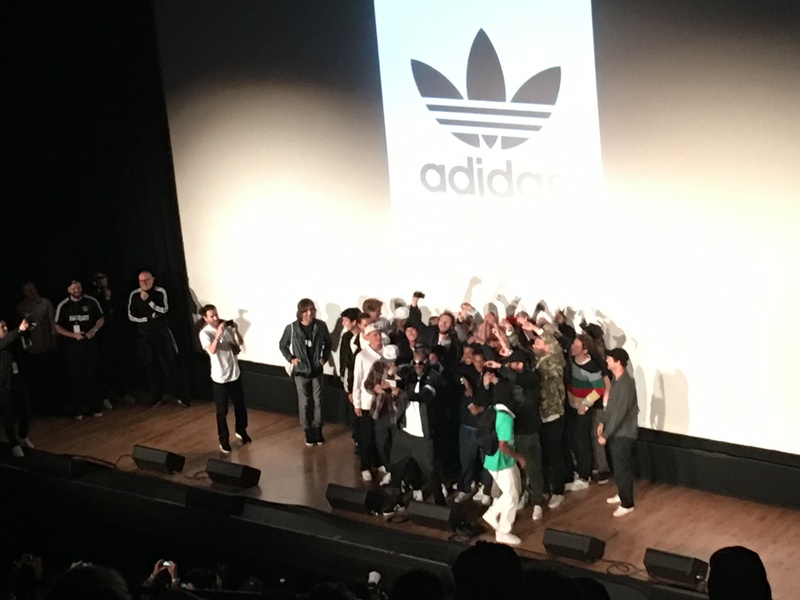 Last night was the premiere of adidas’ first full length film. It was packed. 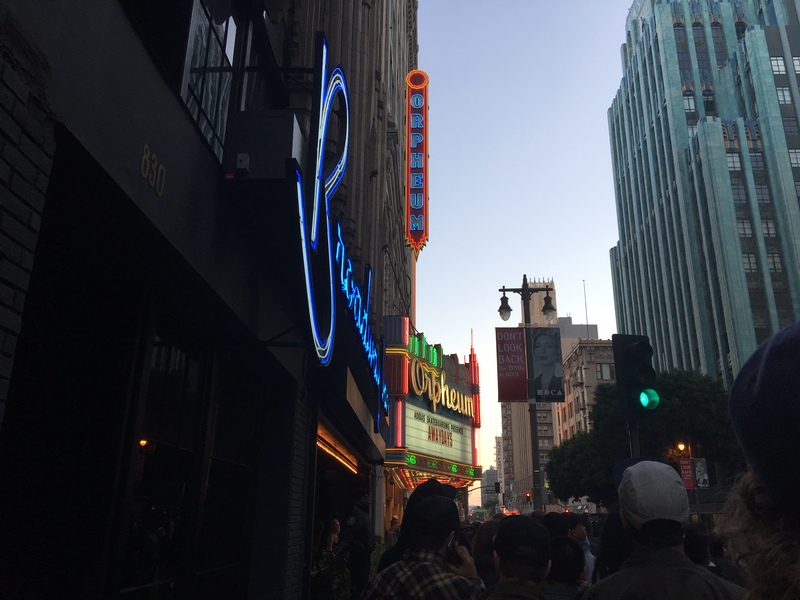 This picture is me peeking over the crowd that literally circled the Orpheum Theater in Los Angeles. Any time you have a large waiting group pandemonium can break out. 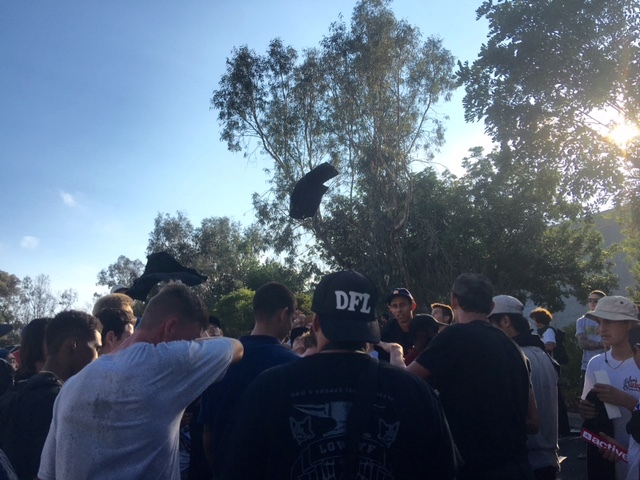 It stayed chill – all the people around me were in good spirits. And to the guy who suggested the film be shown on a jumbotron so everyone could watch from the streets – that’s a brilliant idea. The Orpheum Theater on Broadway in downtown Los Angeles is amazing. It opened in 1926 was renovated in 1989 and is currently the most restored of the historical movie palaces in the city. It has a capacity of 2000 – which must have been met last night. 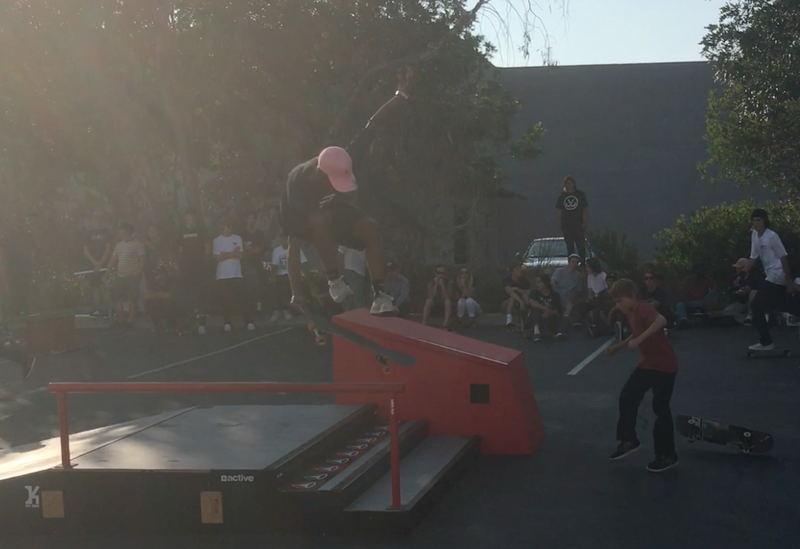 Snoop Dogg introduced the Gonz and everyone else who participated in the making of this film. Somewhere out there is an amazing selfie of the adidas team. Then it was movie time. Somewhere out there are reviews that will go into a lot of detail – this review isn’t one of those. Normal people don’t skate like that – the people in this film were both incredibly gifted athletes & artists. adidas also had amazingly talented people behind the cameras and selected fabulous cities that complemented the skaters abilities. The end result is a film that captivates you. Should you see it – yes. It’s an inspirational film. Not because I think I’ll try some of those tricks – it was definitely one of those films don’t try this at home & never try it alone – but because I want to experience the joy I saw. They weren’t skating for the cameras – they were skating for the love of it and allowed the cameras to be there. 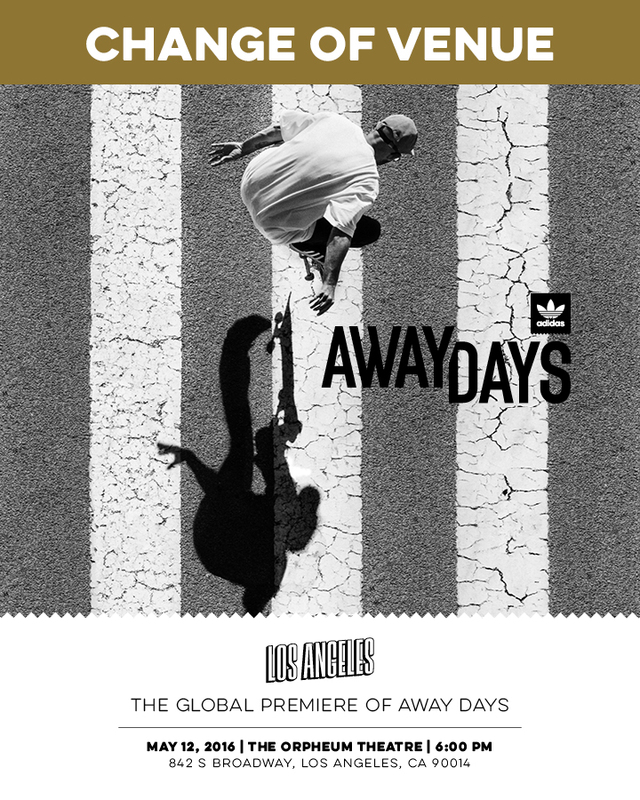 I could be biased because he had my attention from Episode 2 of Far & Away – the making of AwayDays by adidas & Thrasher. 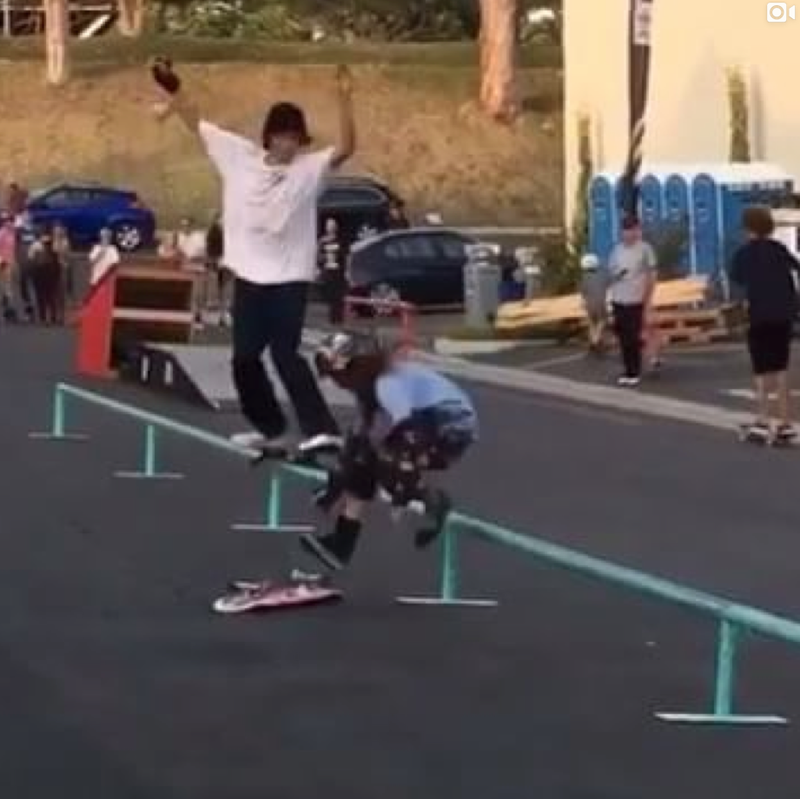 He loves skateboarding and he lives to share the love of skateboarding. That’s what makes skateboarding grow, that’s what inspires me to keep skating & blogging. 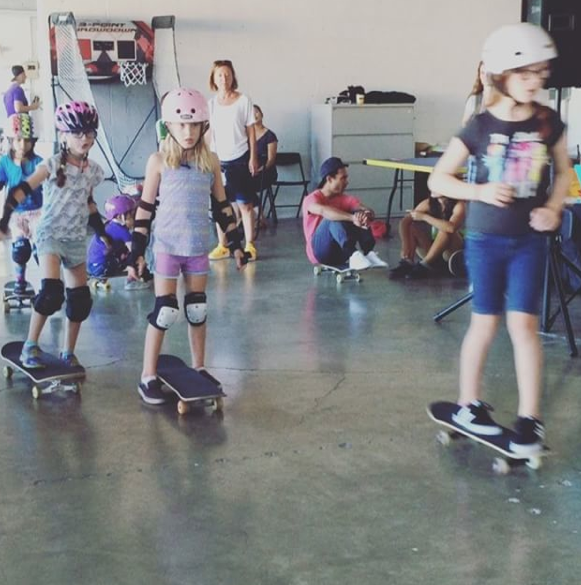 I have the mantra – more girls skateboard when they see stylish girls skateboarding & get encouraged – the truth is more people skate when they see people skating and get encouraged. 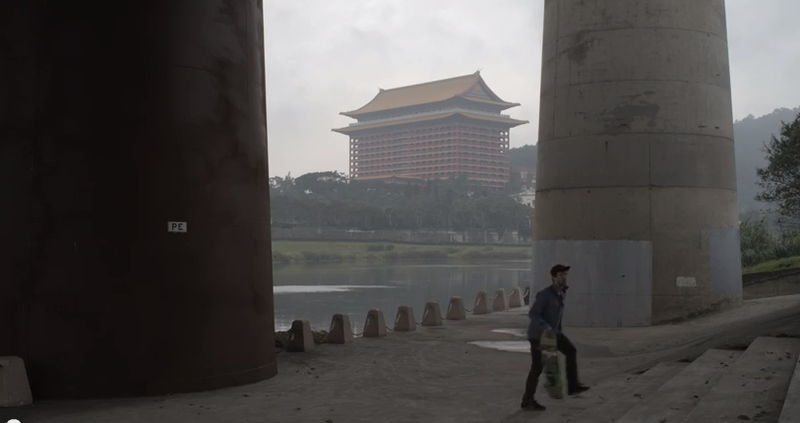 This film inspires as it shows how universal skateboarding is – all around the world – take your board and skate. You’re not alone when you skate for the love of it – you’ll find your homies who may be skating already or are the people you inspire to skate. As the skatingfashionista I also want to complement the adidas team for taking some fashion risks. I liked it. There’s no uniform in skateboarding. I saw some sweatpants – some red pants – little camo – some patterned shorts – YES – wearing what you want – that’s stylish on & off the board. Finally Krispy Kreme – having your doughnut light on & people visibly in the store but the drive thru closed when I’m headed home & needing a doughnut & my mom needed coffee – not cool. The world would be a better place with 24 hour Krispy Kreme drive thrus – so next time please be open. 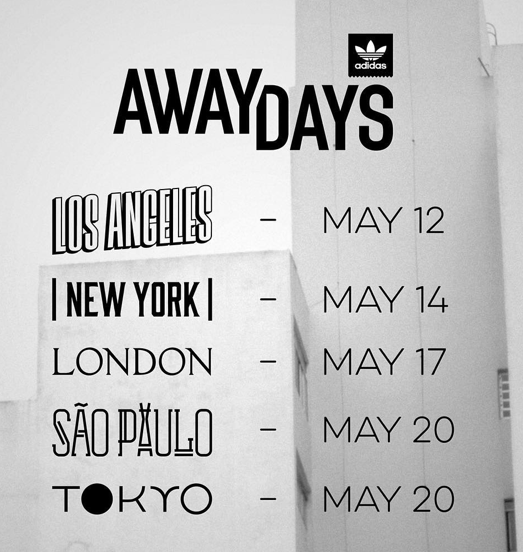 adidas Skateboarding Away Days – not to be confused with Awaydays the 2009 British Film – is adidas’ first feature length skate film. adidas being involved with skateboarding is nothing new. 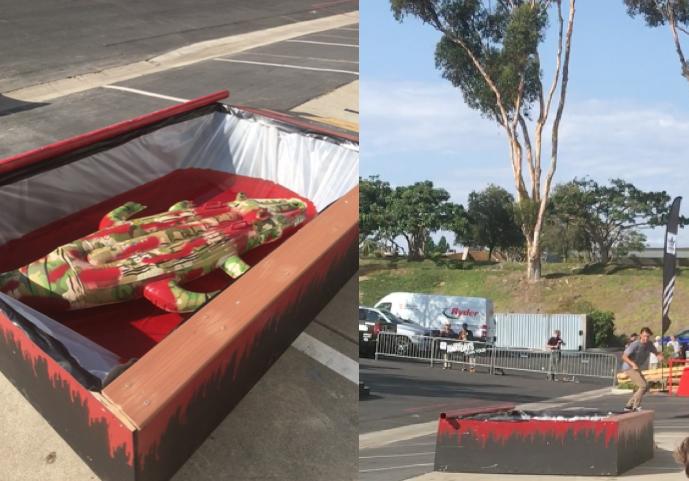 Some of their team riders – The Gonz considered to be the father of modern street skating – have been with them for over 15 years. Their team is global and this film looks like it will take the viewer around the world. 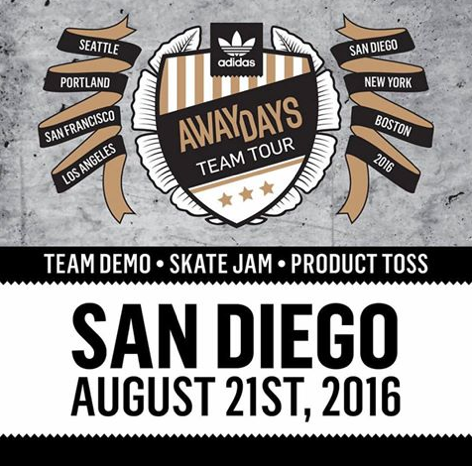 I’ve watched four of the Making of Away Days videos with Thrasher Magazine and I’m excited for tonight. Since posting that I’m going to this event – I’ve received some questions on why I’m going when there aren’t any girls in the film. I watch skate videos when I like the skating. To me skateboarding is sport and art. I watch the skater when they capture and hold my attention – I don’t watch a skater because they are a boy or girl. The messages I heard in the previews and what I hope the film shows is it’s about skating when the vibe is right, it’s about being open to travel and explore, it’s about giving back and inspiring/allowing others to skate, and that there’s more than landing tricks. Just because I don’t blog about boys skateboarding doesn’t mean I don’t want more boys skateboarding. I want more people skateboarding – seeing that it’s sport & art – I think that’s what adidas wants too – so here’s to seeing the film tonight.